The Rebel Sweetheart. : Make Your Product Stand Out. Whether you are serving frozen yogurt, ice cream, sorbet or gelato, you need a container that will make your product stand out. Gelato Products offers industry standard ice cream cups that will show off your product at affordable prices. They pride themselves on competitive prices and fast delivery -with top-notch customer service. Choose from an assortment of attractive containers in an assortment of sizes, colors, and designs. You can even personalize the paper cups you put your fantastic product inside! If you are environmentally conscious, there are earth friendly plastic cups that can easily be recycled as well as earth friendly paper cups in 12 and 16 oz. sizes. 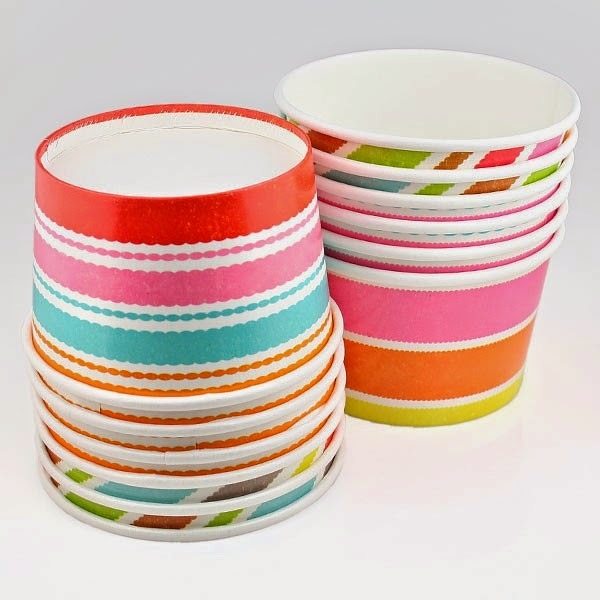 The company has one of the largest assortments of cup styles. Pick a style that fits your color scheme or your personal taste. They offer octagonal cups in 200cc and 150cc sizes in pink, blue, crystal and green. Emerald cups come in brilliant colors - neon orange(150cc.) , neon pink (200cc.) and neon yellow (90cc). The regular round "rotonda" cup comes in yellow (90cc. ), pink (130cc. ), green (170cc.) and blue (210cc.). The smaller diamond cup comes in blue(100cc., 130cc., and 220cc.). For larger portions, you'll have the green (130cc.) and red (220cc.) size. The elegant fruit cup design comes in 4, 5, 6, 8 12 and 16 oz. size. Don't forget the spoons! They come in either matching colors or a collection of pastel shades. Custom logos can be printed on cups using 1, 2, 3 or 4 colors. 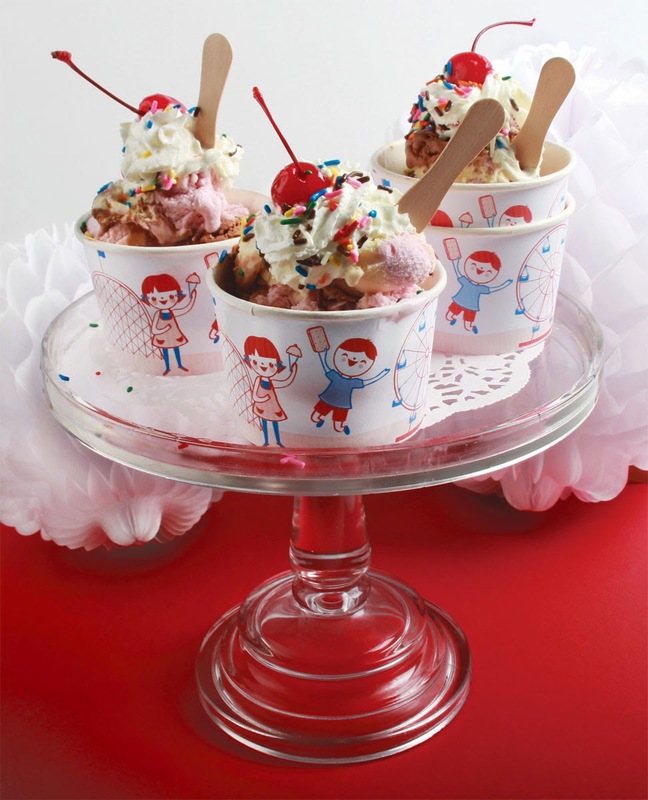 Personalized ice cream cups is a perfect way to move your advertising message out into the public. Using a custom cup design is a simple yet cost-effective way to market your business and serve delicious desserts using the best ice cream cups available in the marketplace today. There are exclusive offer benefits such as no minimum orders, 24/7 online access to the vast inventory of gelato products and frozen yogurt supplies, and FREE domestic shipping within the continental United States. Make your ordering experience a good one. Plus you can be sure that you're getting high-quality products at affordable prices.